It’s amazing to me that when you report the truth about the Trump administration attacking your rights to keep and bear arms, which are supposed to be protected under the Second Amendment, some conservatives attack you as not supporting the president. Well, I’ve never supported a president when I believe he is acting tyrannically and unlawfully, no matter the jersey he wears. The same has been true with President Donald Trump. While he has America’s eyes fixed on the southern border and wall building (forget the idea that the wall is being built on property that does not belong to the federal government per the Constitution – borders simply limit jurisdiction of justice), his administration has attacked the Second Amendment by illegally banning bump stocks, which Barack Hussein Obama Soetoro Sobarkah’s administration deemed legal; how’s that for irony? Additionally, Trump has pushed for Red Flag gun confiscation laws following the Parkland shooting last February, which not only infringes on the rights protected under the Second Amendment, but also the rights protected under the Fourth And Fifth Amendments, and multiple Second Amendment advocate groups are calling him out on it. Guns Owners of America has pointed out the danger and lawlessness of such “laws.” Executive Director Erich Pratt wrote about William Barr and pointed out “secret courts” that usurp their authority to strip you of your writes. Recently, the National Association for Gun Rights has also called out the administration after the US Senate confirmed swamp creature William Barr as Attorney General. …one year after the horrific tragedy in Parkland, Florida, the White House is once again caving to the demands of the gun grabbers by endorsing these “Red Flag” laws. It took nearly 10 months for the Federal Commission on School Safety, established by the Trump Administration in the wake of the Parkland shooting, to release their recommendations. One of these recommendations was an endorsement of national “Red Flag” laws like the ones being used to confiscate legally owned guns from law-abiding citizens in states like Maryland and California. Of course, what is not being reported is how “Red Flag” laws STRIP law-abiding gun owners of the right to keep and bear arms without due process. With a mere accusation — and with no due process or presumption of innocence — an anti-gun family member, ex-partner, neighbor or other acquaintance (depending on the state) can ask the government to seize legally owned guns from law-abiding citizens. A simple claim someone is “crazy” or “dangerous” because they support the Second Amendment is all it takes. In reality, it’s a rubber stamp followed by a SWAT team raiding the gun owner’s home at five in the morning. Make no mistake, “Red Flag” gun confiscation laws (sometimes called “ERPO’s”) are the first step towards the mass gun confiscation schemes seen across the globe. And while there is hope U.S. Senate Republicans will hold the line against the most draconian of gun control schemes, this endorsement from the Trump White House may be the excuse weak-kneed Senators were looking for to get behind gun confiscation on the federal level. To make matters worse, the U.S. Senate just confirmed President Trump’s Attorney General nominee, William Barr. Attorney General Barr has a long history of supporting gun control, doubling down on his track record by siding with Dianne Feinstein on her Assault Weapons Ban in addition to national “Red Flag” laws. Now, as some of the most unconstitutional gun control laws in history are making their way through Congress, Speaker Pelosi and Senator Feinstein can count on the support of President Trump and his administration’s top prosecutor. 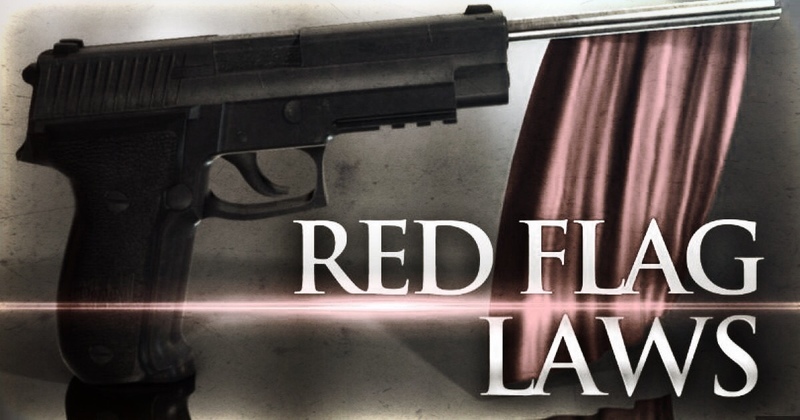 It is important to understand that Red Flag laws, while seeming to be necessary to prevent a dangerous individual from obtaining weapons, are ripe for abuse. It is the language of the bills along with the developing narrative to which you have to pay attention. For example, in HR 5717, one of the listed criteria for issuing an Extreme Risk Protection Order is if the individual in question poses a significant danger to themselves or others by possessing a firearm. If a person is that much of a danger to themselves or others wouldn’t that be the case even if they didn’t have firearms? After all, according to the FBI, more people are murdered with clubs and hammers than rifles. Confiscating their firearms on mere speculation will do nothing to prevent them from murdering if that is what they intend to do. Furthermore, as far as the left is concerned simply owning a firearm is enough to have you considered a threat to yourself or others. Especially if you understand their worldview. If you’re worried about gun control, you’re already considered a threat to yourself or others. This is America’s Red Flag warning. The line we have all been drawing in the sand is being crossed. Now, make no mistake about it, Democrats are just as anxious to rid you of your guns as this administration. The evidence is plentiful. However, keep in mind this warning from Rep. Thomas Massie (R-KY) that both parties are after your guns. Stop playing politics and look at the law!